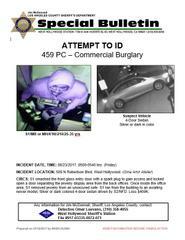 The Los Angeles County Sheriff’s Department West Hollywood Station Detective’s Bureau is seeking the public’s assistance in finding the suspects to a burglary that occurred at 509 North Robertson Boulevard, West Hollywood, on June 23, 2017, at approximately 5:00 a.m.
West Hollywood Station detectives have learned that forced entry was made into “Gina Amir Atelier” using a spark plug. Once inside the location, one suspect took diamonds and other precious jewels. The suspect was seen on video surveillance committing the burglary and running to an awaiting vehicle before fleeing the scene. 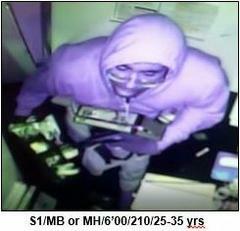 The suspect is described as a male Black or male Hispanic, 6’00”, 210 lbs., 25-35 years of age. 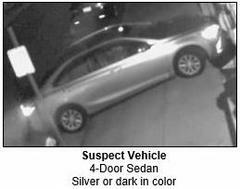 The suspects' vehicle is a 4-door silver or dark colored sedan. If you have further information regarding the incident, please contact West Hollywood Sheriff’s Station Detective Luevano at (310) 358-4055.